The second season brought to the forefront Coach cavanaugh’s concept of running as a team. 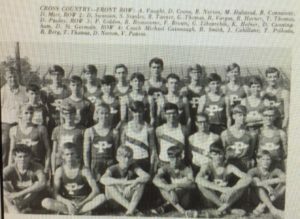 Against Andrean Portage placed 13 of the first 16 runners, in a triple dual with Merrillville, Wirt and Lowell five of the first eight places, and in a double duel meet with East Gary and lake Central ther first five runners. 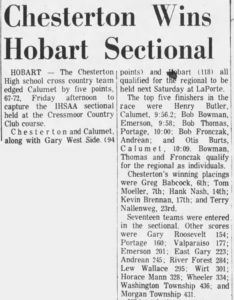 The team would pick up 4th in the prestigious Hobart Invitational, out of 25 teams, where senior Bob Thomas would finish 4th and junior brother Tim would finish 13th. 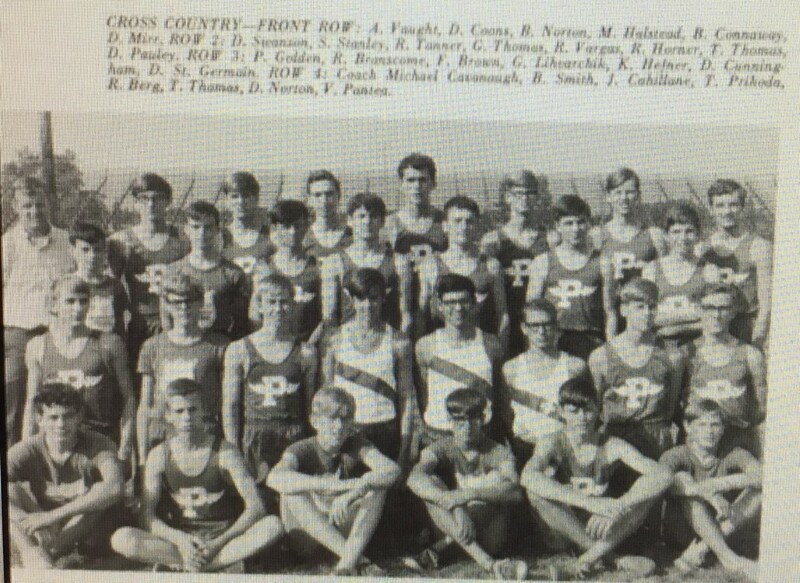 On September 24, 1969 the team would win their tenth dual meet out of 12. 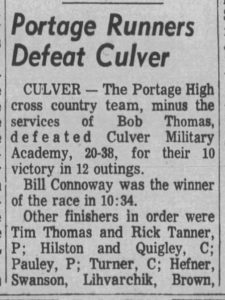 Portage would finish 3rd in the inaugural Duneland Conference meet to Hobart, but Bob Thomas would capture 1st place honors. Portage would capture the junior varsity meet. 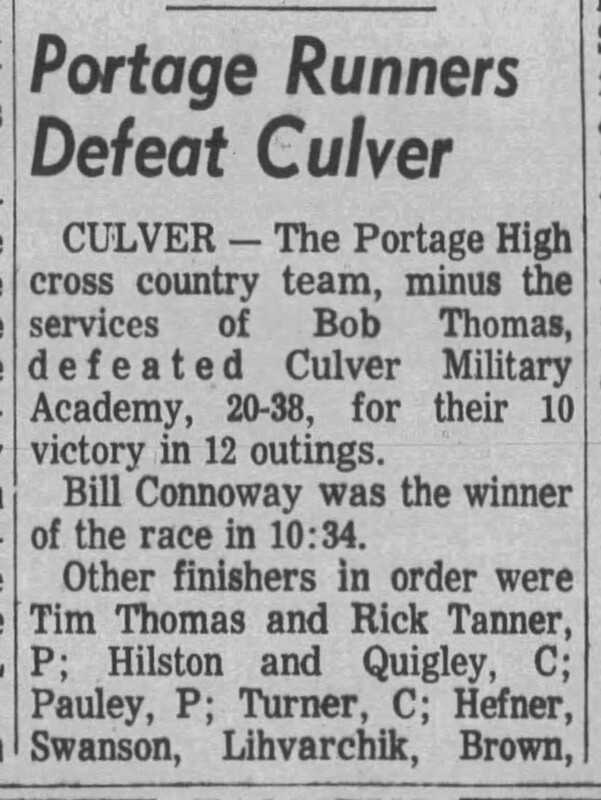 In the final Calumet Conference meet Portage would finish 4th and Bob Thomas would collect 3rd place. 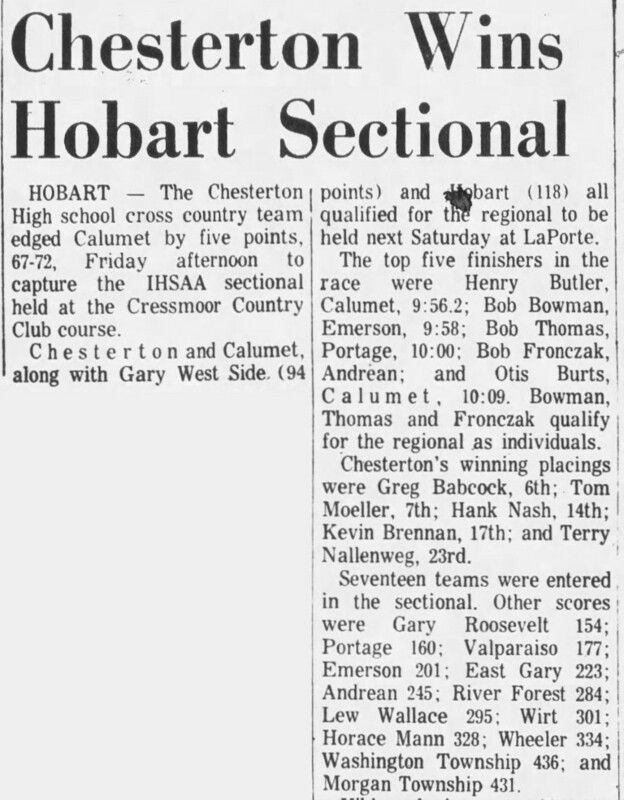 At sectionals the team would place 6th and Bob Thomas would again qualify for regionals with a third place finish. In the spring Thomas would finish his schoolboy running career with a 4th place at the state meet in the two mile run. 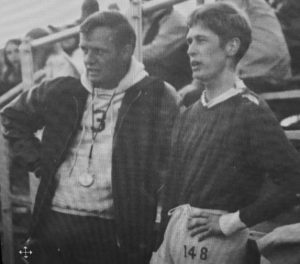 He would go on to have a stellar cross country and track career at Indiana State where he would set several school records in distance races for the Sycamores.